Ok, I have a confession to make. I was a Salt-aholic! I love salt. You know those people who salt things before they even taste them? Well, that was me. Not healthy. After I turned… ach-’em… 50, I decided it was past time to cut down on my salt intake. Although I knew it was the right and healthy choice, it was going to be hard. So, I set my goal to a No-Salt September. What exactly is a No-Salt September? Since it was my own invention, I made my own rules. I cut way back on the salt I added to any of my cooking, and I added zero salt to anything I ate–at home, at restaurants, or with friends. That meant no salt on my salads, salsa, veggies, or sandwiches–not even on my beloved steak or prime rib. I was determined to add no extra salt at all. 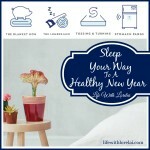 Get healthy in the New Year with #AudioWalkers . Find out about my No-Salt September? And I am super proud to say that one year and four months later, I am still not adding salt to anything! The only exception is my occasional soft boiled or poached eggs, where I very lightly dust them with salt. No-Salt September was a success! And, I am healthier for it. After, I jumped out of the salt pool, I decided to make healthier food choices, and get a little more exercise too. So, I started walking. There is nothing like a fresh morning walking through the park or along the beach, while listening to an audiobook. 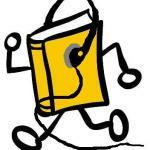 Yes my friends, the audiobook is the perfect walking companion! Not only does it keep you from being bored, it motivates you to go on your next walk, and the next, and the next. Some days I find myself walking morning and afternoon just because I don’t want to put down my book! LOL I even do housework, water my plants, and sometimes cook with my audiobooks. 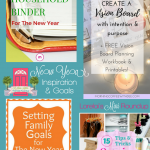 …on my blog, where you can go All Year Long. 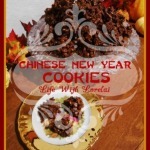 Find it in the Menu below the blog header. The Audio-Walkers Page has two places for you to join in the fun. The first is the Audiobooks–Audio-Walkers – What We’re Reading. Add the link to the book you are listening to or reading. If you need help finding a summary and cover photo try Goodreads or Shelfari. What a great way to find new books! Leave a review or encouragement in the comments. If you need an audiobook, check out your local library, or OverDrive, which brings your library right to your computer. You can also purchase them through Audible or Tantor Audio, bookstores, and online. The second is the Blog List–Blogging Audio-Walkers. If you have a blog, and are participating in Audio-Walkers by listening, reading, or walking, add a link to your Blogs Home Page. We can grow as a community of book loving bloggers, and help our blogs grow along the way. Share the fun and invite your friends! 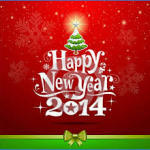 Let Audio-Walkers help you attain your goal of getting healthy in the New Year. Be sure to use our Registered Hashtag! Don’t forget to add your links! 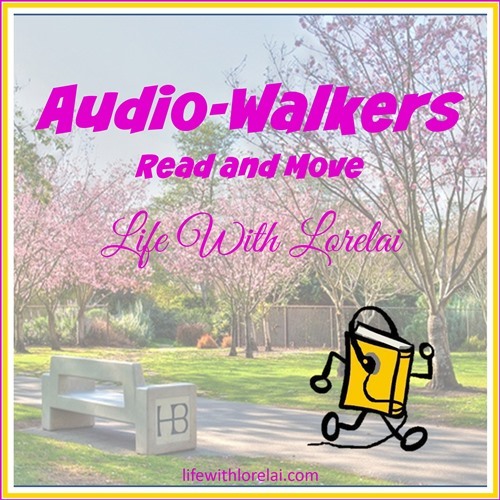 You can also join the Audio-Walkers Facebook Group for more friendship, book discussions, motivation, and encouragement. You can add your links here, or on the Audio-Walkers Page. Please remember this is a family friendly blog. When do you like to listen to Audiobooks? What’s your favorite book genre? Sounds like fun! Walking is a good thing. Walking is one way that my husband and I share quality time together. I don’t add salt to anything, either. I’ve never been a big fan of salt. My husband and son-in-law always salt their food before tasting it. And sometimes restaurants use way too much salt in their food in my opinion. I’ve never listened to autio books while walking. I need to do that since I love to read. I love the name Audio-walkers! I agree, I get lost when I’m walking with music or audio books. I will be more consistent with this and will be reorganizing my “books” on my mini-pod. Thank you for the reminder! I thought #AudioWalkers was kind of catchy… so glad you like it. 🙂 Be sure to add your books and your blog to the links! How fun! First though I would need your green (in January!) park to walk in ;). Love the idea though. What a terrific idea to listen to a book while not only walking but exercising in anyway. I am disabled and in a wheelchair a lot so I can’t really work out but will apply the same theory to other quiet times in my day where I sure could use something to listen to. Thanks for sharing this brilliant idea. So glad you love the idea of audiobooks. 🙂 Be sure to add your books and blog to the linkies! You have an amazing week yourself. I drive my sister nuts with not putting salt on my food. haha And she drives me nuts with the amount of salt on her food! Walking is so good for those of us with fibromyalgia and chronic pain. It hurts to move, but moving reduces the pain. It’s a vicious cycle. 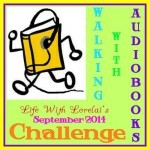 Walking with audiobooks is a great way to make the walk less painful and more interesting. Kudos to you for keeping up with the no salt! I still sneak a pinch here and there when cooking, but my husband hates when I do. I love to walk with my family! Audio Walk sounds like tool to keep you motivated! Walking is one of the moods of exercise and reading is one of the best ways to exercise your brain. It’s fun co-hosting wordless Wednesdays with you!